Warren Buffet is bearish on the shipping industry. The Economist blames all sorts of green regulations for their troubled waters. But while the industry presents itself as green and progressive, a new study shows that its emissions are on a path to quadruple by 2050, contributing directly to a well-known environmental injustice: climate change. In addition, it’s mainly the over-consuming North that needs the ships, while it’s mainly the South that suffers from climate change. Recent evidence also demonstrates that the ‘solutions’ we construct to mitigate climate change are adding insult to injury, for example in Africa. True, ships only emit 3% of all global emissions. But that share is bound to rise rapidly and yes, there’s more on other aspects of the vessels that carry 90% of all international trade. The emissions of ships are just the gaseous parts of the waste they create. Last year, we published a damning report on ship breaking. While the EU is working on ship breaking regulation, the report explained the long way Europe has to go to stop this waste disposal conflict. Almost all retired ships – disguised under the banner of ‘recycling’ a ship beyond repair – are delivered from the North to the South. Patrizia Heidegger, executive director of the campaign group Shipbreaking Platform explains: “Last year, one European ship was sent to a substandard beaching yard in South Asia every day”. Their report explains why ramming a tanker at full speed on a tropical beach can never meet international environmental standards. Meanwhile, the Guardian recently published news about leaked papers expressing grave concerns over the shipping industry’s bid to overturn the Basel Convention on the disposal of toxic waste. Lawyers are giving warning signals that the EU proposal on ship breaking is in fact illegal. 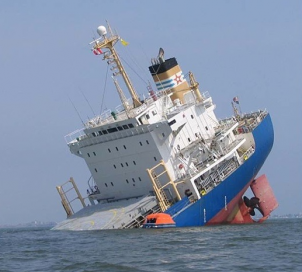 The EU Parliament has voted against a an EU fund for ship recycling, which means that it will not be established before 2015. The only sensible thing about the recent vote was the approval by the EU Parliament of the Commissions proposal that EU-registered ships could only be recycled at EU-approved facilities. In theory, that’s good news. In reality: let’s not be naive. The shipping industry is just like big finance: they register where they want. It’s global in nature and thus perfectly placed to avoid any unwelcome regulation. Of course, ships are not just mammoth producers of dangerous metals and emissions. They transport the goods that make specialization possible on a global scale and thus contribute to welfare and a healthy economy for all. At least, that’s what free-trade gurus want us to remember. But professor Alf Hornborg from EJOLT partner LUND university takes another view. As he explains in this podcast: “International trade is not just about labor exploitation. I would add that there is not only unequal exchange of labor-time but also unequal exchange of natural space.” As his recently published book “Global Ecology and Unequal Exchange: Fetishism in a Zero-Sum World” shows, Europe, a net-importer of natural resources for hundreds of years, has kept its position since decolonization thanks, in part, to the low costs of shipping. We in the North ship resources to feed our economies, while the ships return to Southern destinations with toxic waste, e-waste or with the plastics we have carefully put in the correct wastebin. The absurdly low price of shipping is creating wicked ‘business opportunities’. How about the Dutch hoping to plant trees on Brazilian land for making wood-pellets that they can export to the Netherlands to heat their homes? How did they get that crazy idea? EU-subsidies for biofuels! A new report by The Chatham House says that biofuels are ‘worse than fossil fuels’. But never mind. Thanks to this counterproductive EU policy and low shipping costs, Brazil is now set to become a major exporting country of woody biomass to the EU, as this report illustrates. First we took their gold and oil, now we take their water and soil.